Apple’s iPhone and iPad are still the devices to beat when it comes to mobile software development. 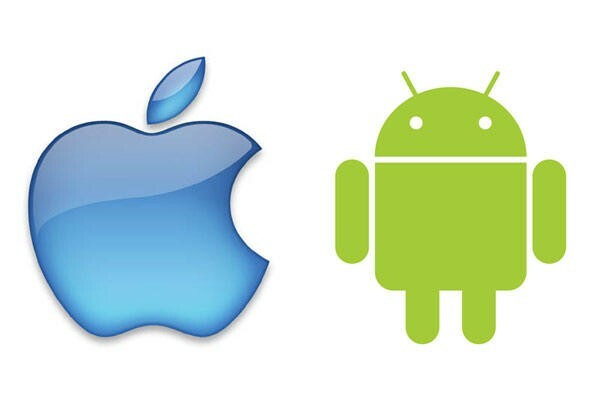 A new survey conducted by research firm IDC reveals that developers are still captivated by Apple’s iOS, with interest at 91 percent for the iPhone and 88 percent for the iPad. Google’s Android software is also gaining in popularity at 88 percent in the mobile development space, however, Android tablet support has seen a dip to 68 percent, although that’s likely to change when Ice Cream Sandwich hits the market. In addition, Microsoft has seen a resurgence thanks to its partnership with Nokia, landing them in the “second-tier” behind Apple and Google. Unfortunately, and unsurprisingly, RIM has fallen even further down the totem pole as the company continues to endure consumer, investor and shareholder unrest, among other things. Amazon and Microsoft are the two big movers as we head into 2012, said Scott Schwarzhoff, head of marketing for Appcelerator, a service company that assists developers manage their apps. RIM continues to face challenges, especially on the PlayBook, its tablet which has sold poorly. Developers are flocking to what is popular and, most of all, what is cheapest. Android has made a huge impact on the market by offering devices from a number of different handset makers like HTC, Samsung and Motorola. With cost and ecosystem in mind, Amazon’s upcoming Kindle Fire has been a huge draw for developers as well. It has all the trappings of the next big thing, Schwarzhoff said, pointing out that interest in the tablet, which is due to ship on Tuesday, is only slightly lower than the pre-launch interest in Apple’s iPad. Of the 2,160 developers surveyed, many have taken a huge interest in Nokia’s new Lumia Windows Phone lineup, according to the IDC survey, going on to say that the luster has worn off of RIM’s smartphones. In fact, interest in BlackBerry devices has lowered to 21 percent, while the company’s QNX-based PlayBook has dropped to 13 percent. Microsoft has seen interest go up 8 points to 38 percent. The survey went on to echo complaints that RIM doesn’t have a clearly defined direction heading into the new year despite the company’s QNX OS said to be on the way. With iOS, Windows and Android all gaining headway as of late, it’s hard to imagine things getting better for Research In Motion in the foreseeable future. Do you think RIM has a chance to compete going forward?